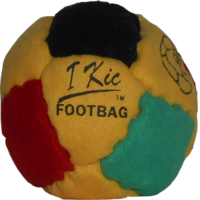 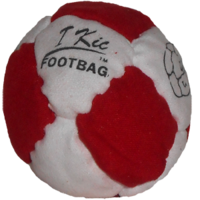 The I Kic Pellet Filled Footbag is another original Flying Clipper design. 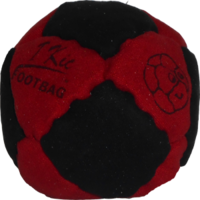 Combining truncated hexagons, squares and plastic pellet filler brings you one of the true hacky sack design classics. 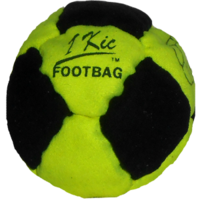 I recieved my I-kic today having mediocre expectations. 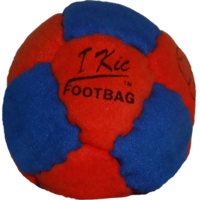 After kicking it for a short while i realized this is a darn good kicking footbag for very little money. 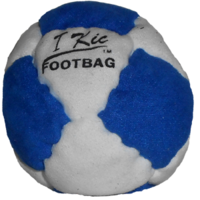 I like the simple classic design with that already broke in feeling. 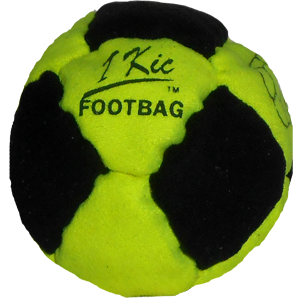 I'll get my kicks with the I-kic!